Hello, lovelies!! This style that I did was a simple but beautiful one! 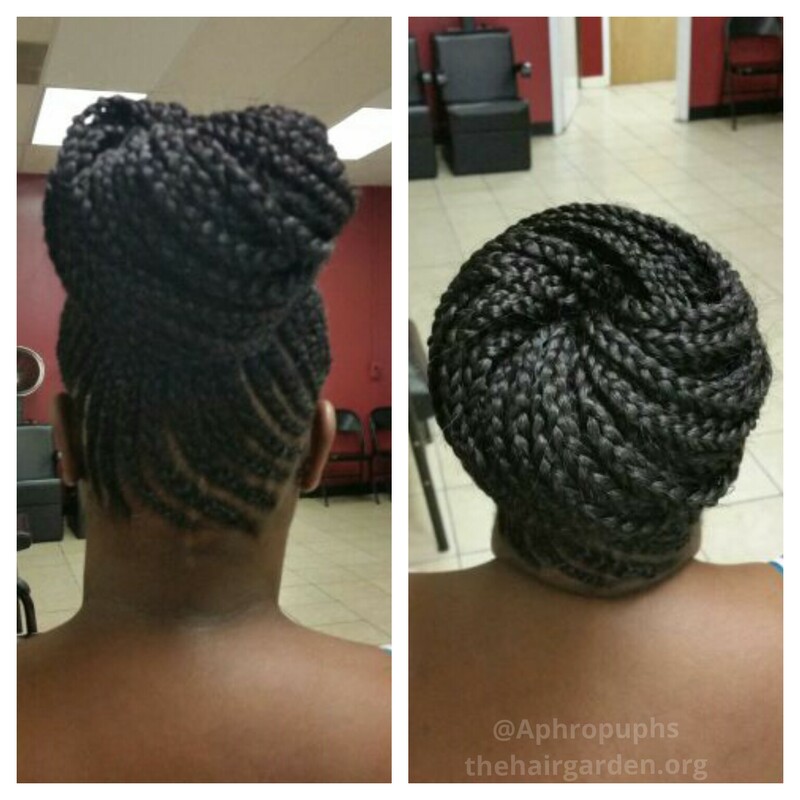 The hair is cornrowed with extensions and box braided to add length and fullness to the ponytail. It was pinned into a nice high bun for low maintenance! All she has to do is tie her hair up at night and apply a little oil to the braids and scalp as needed! This style should last 2-3 weeks.